Country music entertainer Miranda Lambert’s MuttNation Foundation will be setting up shop at CMA Fest again this year! More here. The 2018 CMA Music Festival is just around the corner! The Nashville event is set to run from June 7th through 10th. 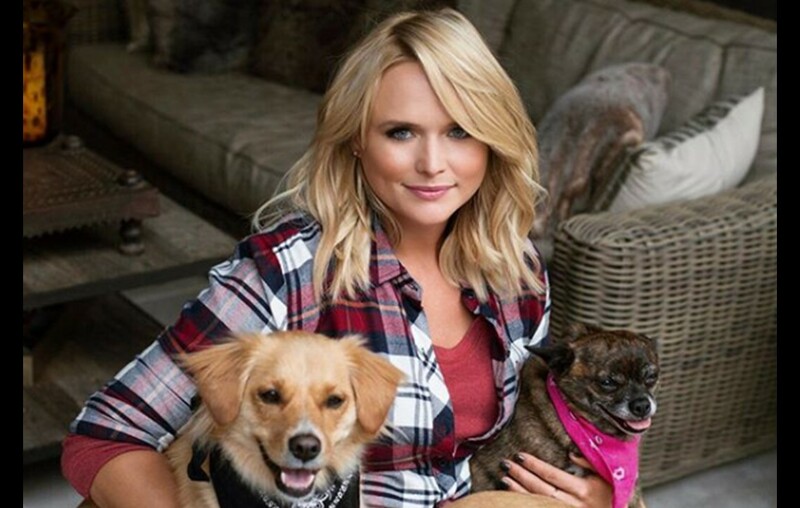 Besides music, the event will also feature country music star Miranda Lambert‘s MuttNation Foundation organization! This marks the third consecutive year the organization has appeared at CMA Fest. Partnering with Nashville Humane Association, MuttNation will have adorable adoptable animals available each day from 11AM to 3PM at the MuttNation rig located inside the Music City Center. Bev Lambert, Miranda’s mom and co-founder of MuttNation Foundation, will be on-site to have photos taken with each adopting family. Watch Bev introduce adoptable pup, Mabel, below. Yes, Mabel will be making the CMT Fest journey too! Our co-founder, Bev Lambert, and volunteer Jonah have a few furry friends they want to introduce you to! Meet Mabel & Penny! 🐶 We can’t wait for you to meet them next week at #CMAFest! Last year, Bandit was one of the lucky dogs adopted during CMA Fest. “My husband and I attended the CMA 2017 festival and participated in the first MuttNation walk. At the end of the walk while Miranda was giving her speech about rescue dogs, Bandit literally walked up to us and I asked the worker if I could hold him. As Miranda was responding to the question “how do you know when a dog is right for you?” her response was “the dog will come to you.” There I was holding Bandit. We stood in line until Fan Fair opened and waited for Bandit to arrive. We adopted him!” MuttNation supporter Francine shared via Instagram. We can’t wait to hear all of your adoption stories this year! 💕 Here is Bandit’s story: “My husband and I attended the CMA 2017 festival and participated in the first MuttNation walk. At the end of the walk while Miranda was giving her speech about rescue dogs, Bandit literally walked up to us and I asked the worker if I could hold him. As Miranda was responding to the question “how do you know when a dog is right for you?” her response was “the dog will come to you.” There I was holding Bandit. We stood in line until Fan Fair opened and waited for Bandit to arrive. We adopted him!” -Francine A. More information on CMA Fest can be found via the official website here! Share this news with others planning on attending the festival this year… they may just find their new best friend!